Each week Adam’s home is always a whirlwind. He works out of town two weeks and flies back for a week off at home. A routine we’re slowly getting into. This past week was awesome and busy – we went to a concert, booked a venue for our wedding (hooray! ), saw a comedy show and went to the hockey game. The weather was amazing as well – almost 20 degrees in April?? I’ll take it. We were outside enjoying the sun walking around, lounging on patios and driving around with the top of our Jeep off. Definitely looking forward to summer. Since he’ll be home for a week each time and school’s out for summer so I won’t be working, we have lots planned – camping, road trips, going to Osoyoos, the island, down to the states and weddings. If there are any great ‘last minute’ deals for travelling we might look into going somewhere for a few days or a week too. Have you planned anything for Summer yet?? Although it’s not summer yet, it is almost Easter – it seems to have snuck up this year – and fast! 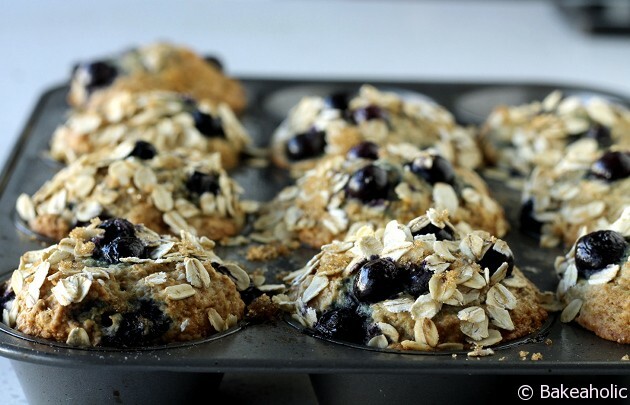 The long weekend is almost here and I made some blueberry muffins you can take along to an Easter celebration, breakfast or brunch. They have no added oil or butter and use whole wheat flour along with pastry flour. Our easter traditions used to include going to church, doing the big easter egg hunt after mass, and lamb dinner at my Nonna’s afterwards. When we were really young we would get huge easter eggs the size of us wrapped in colourful cellophane from the Italian bakeries. This year we’re doing a few lunches/dinners with our family on Friday and Sunday. What are your Easter traditions? In large bowl whisk together the flour, baking powder, baking soda and sugar. In separate bowl beat the eggs and whisk in the milk, applesauce and agave/honey. Pour the wet ingredients over the dry and stir with spatula until flour completely incorporated - being careful not to over mix. Gently fold in the blueberries. Bake for 20-25 minutes until golden brown. Check at 22 minutes with toothpick. 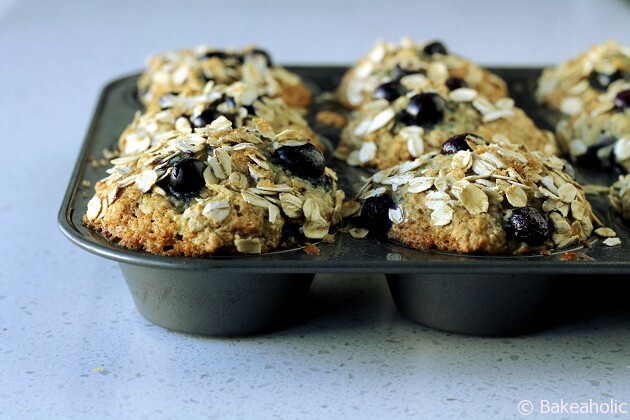 Let muffins cool before removing from pan.